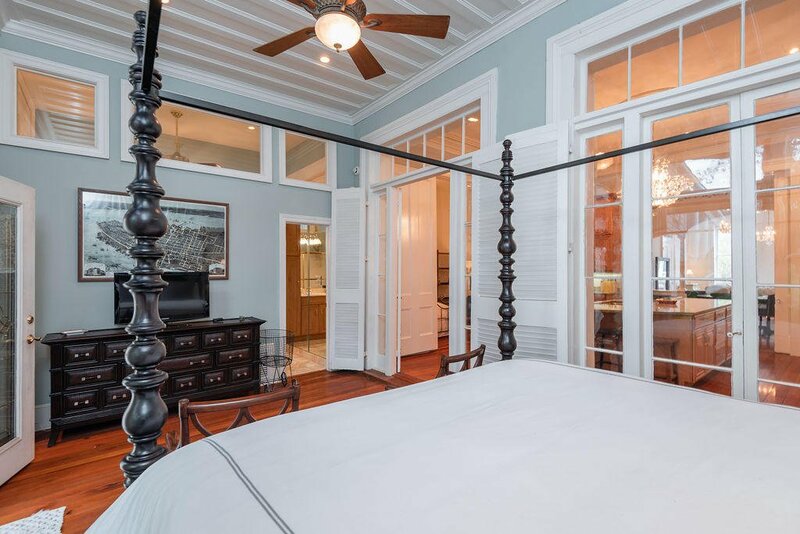 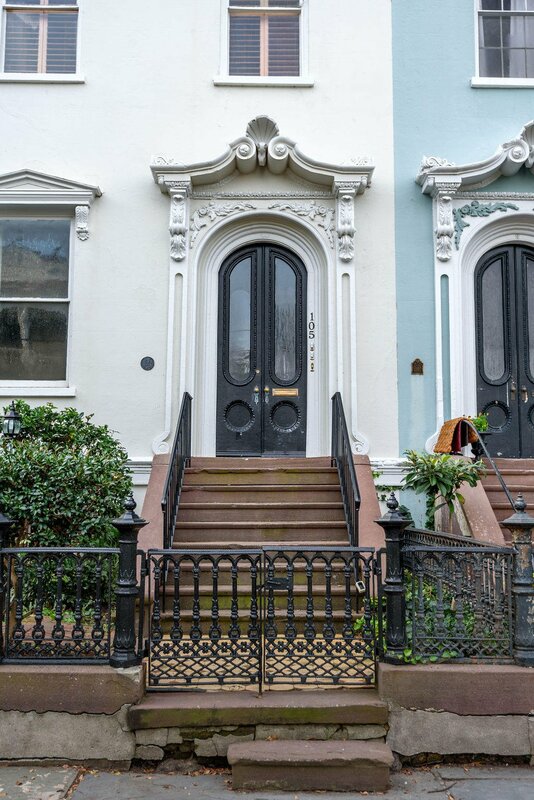 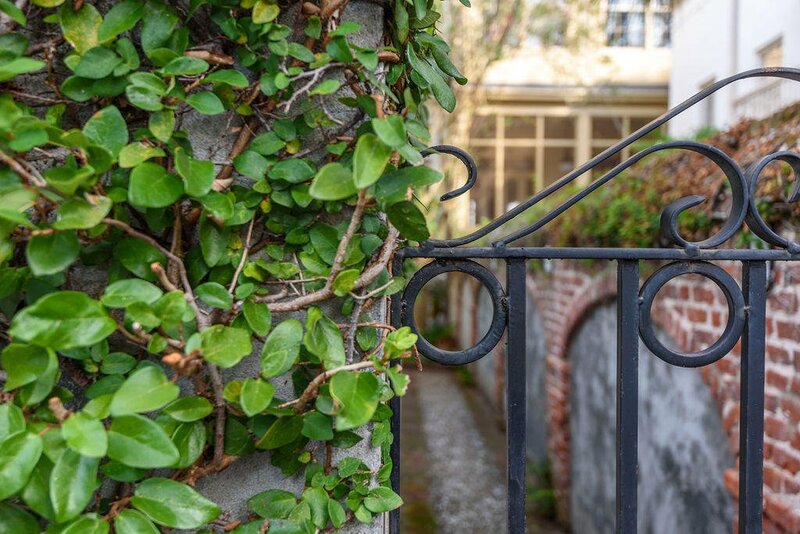 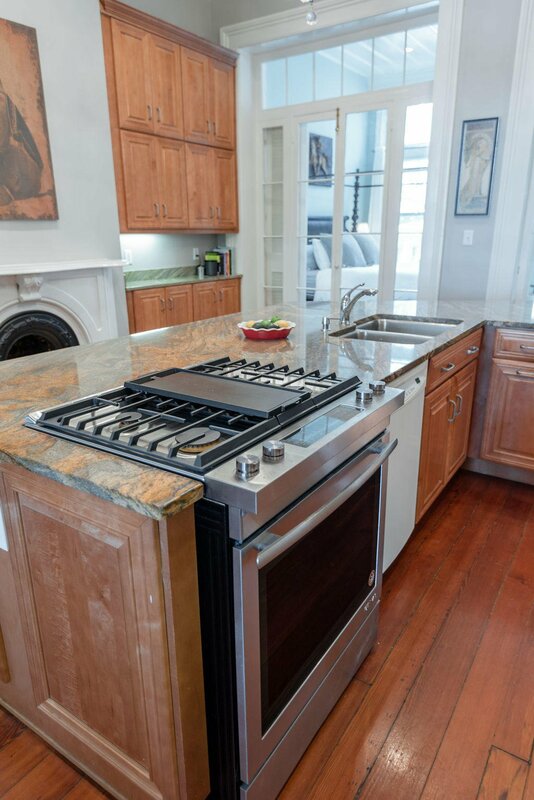 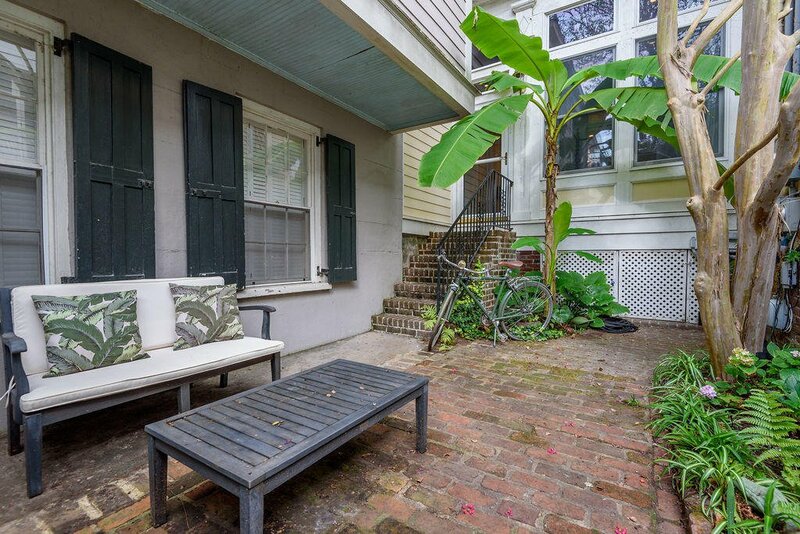 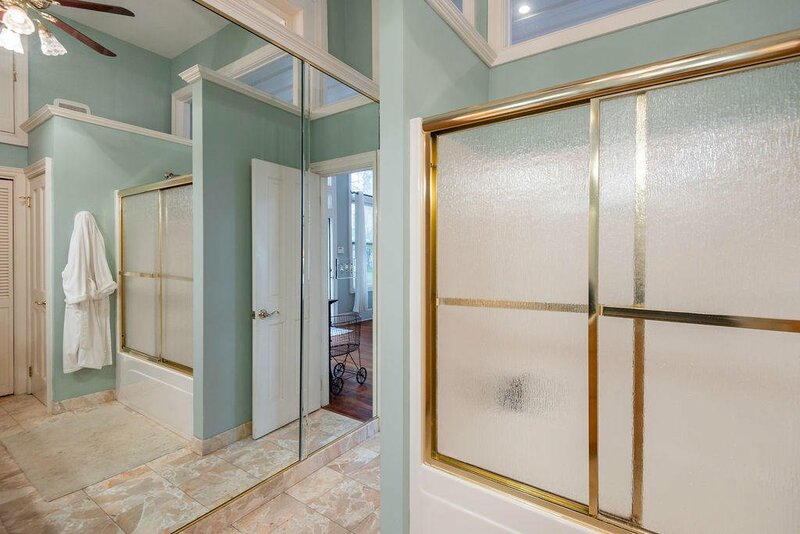 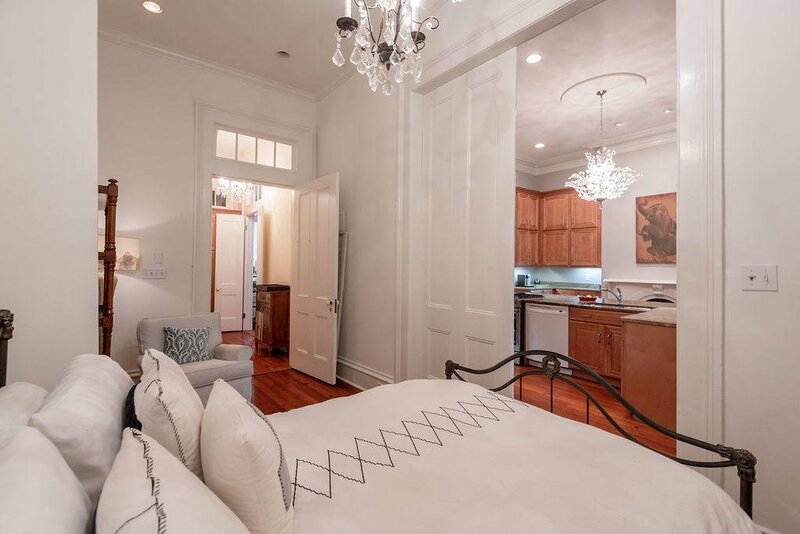 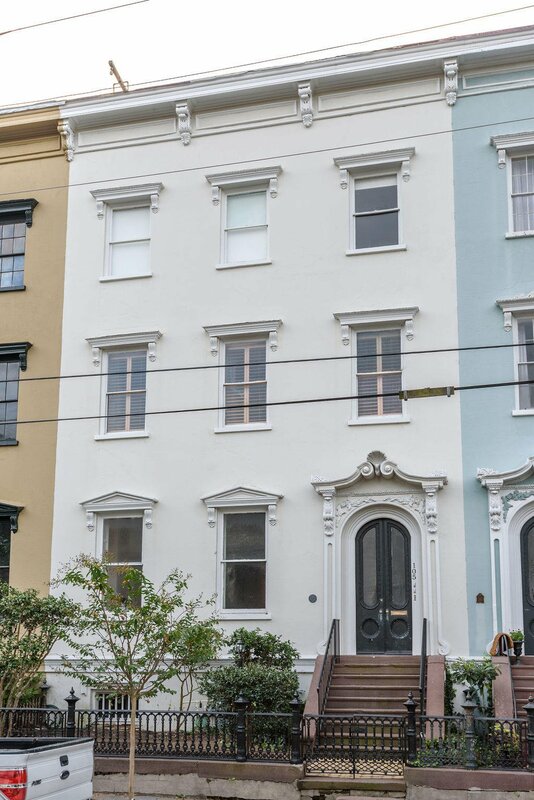 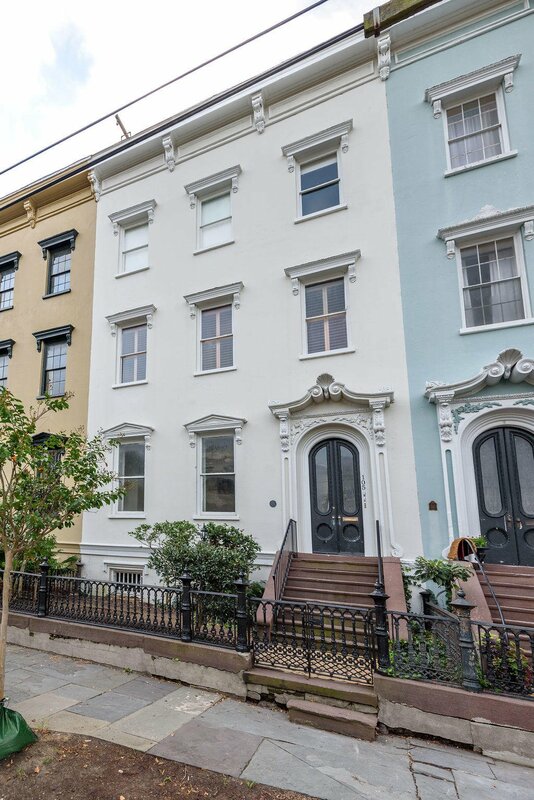 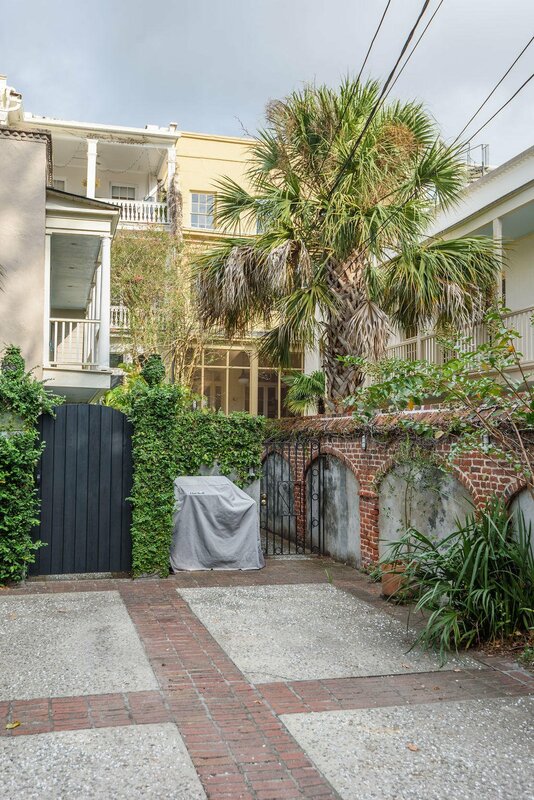 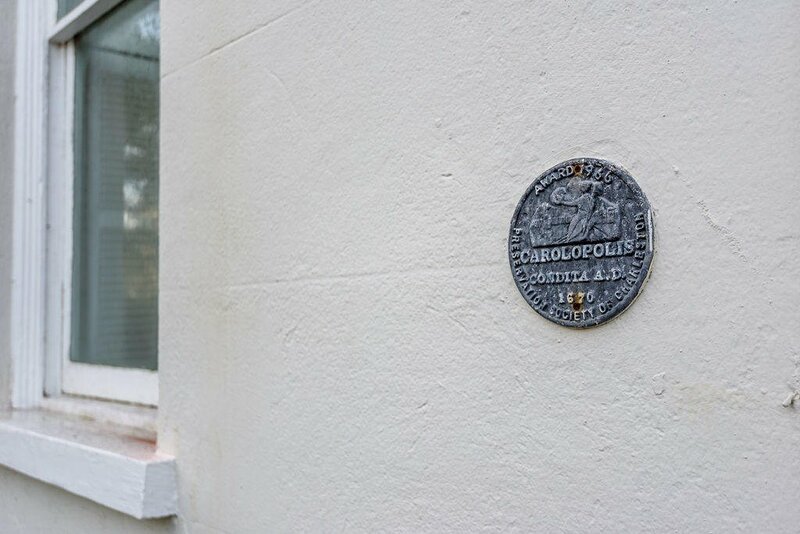 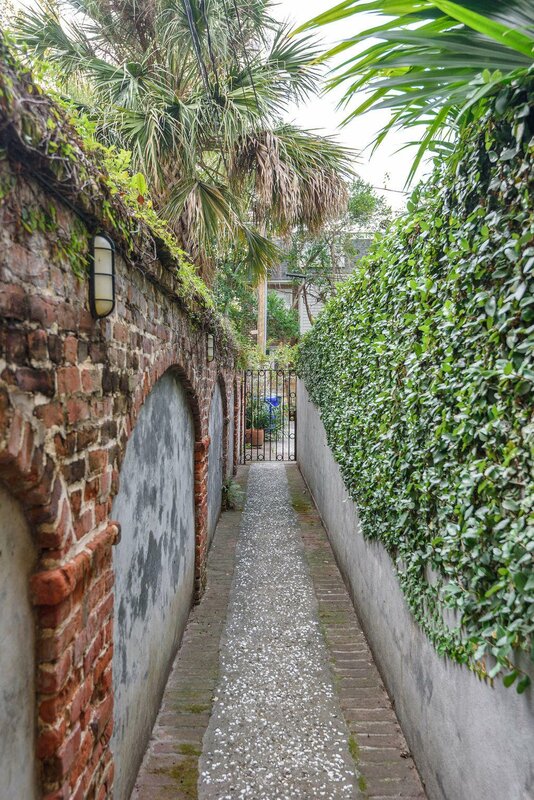 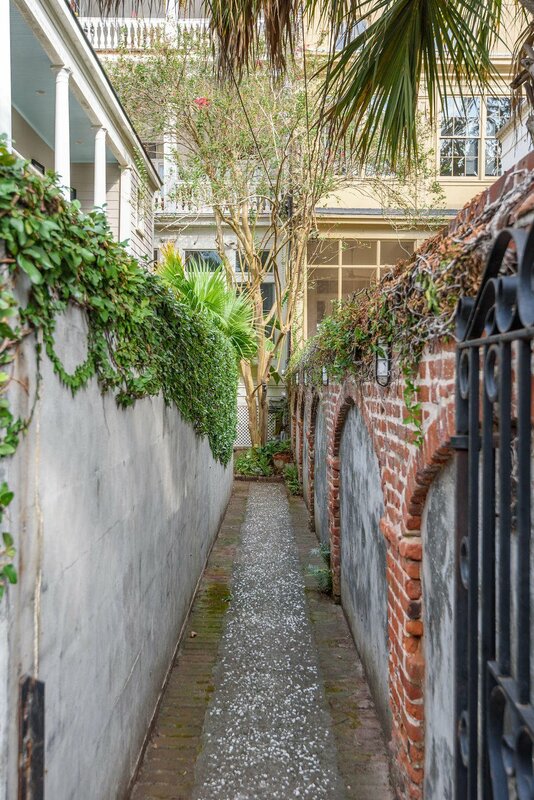 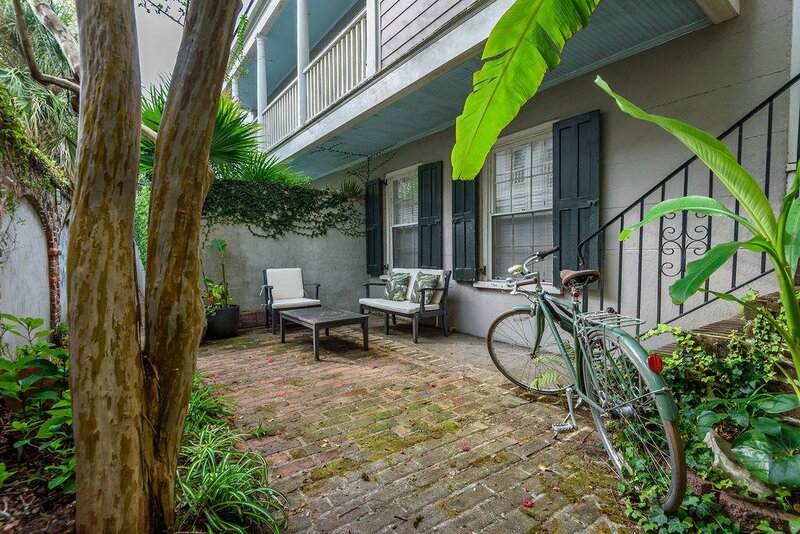 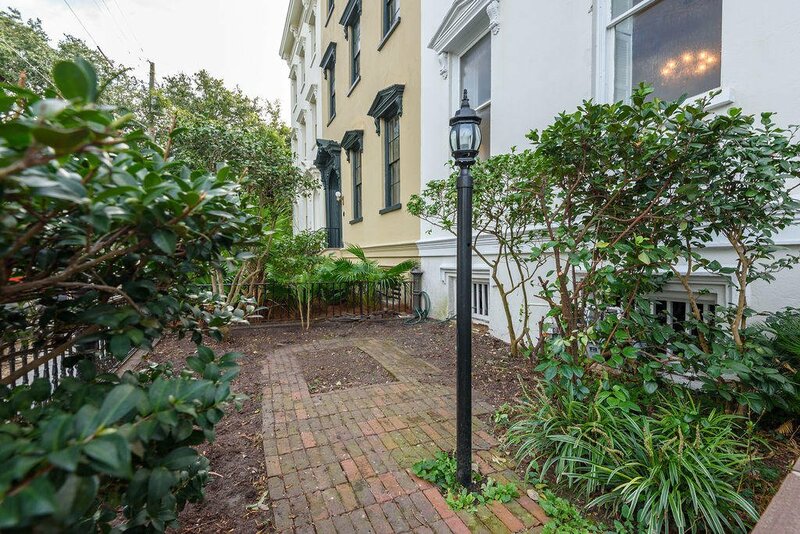 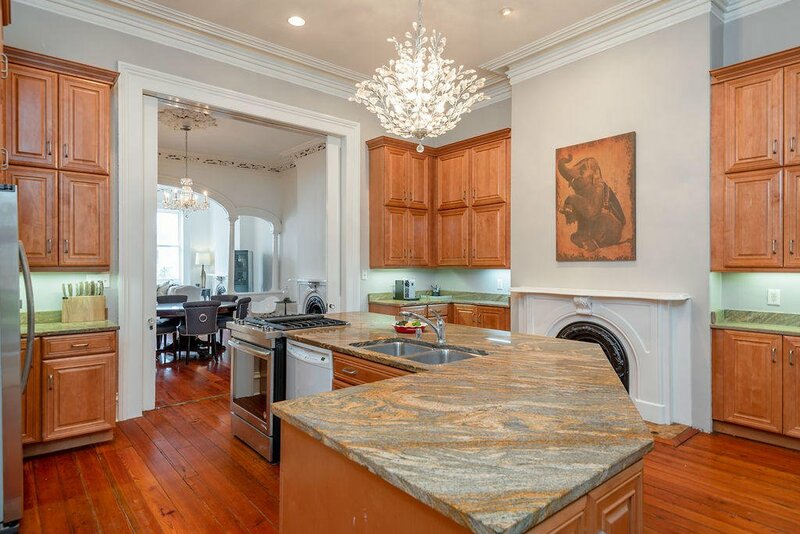 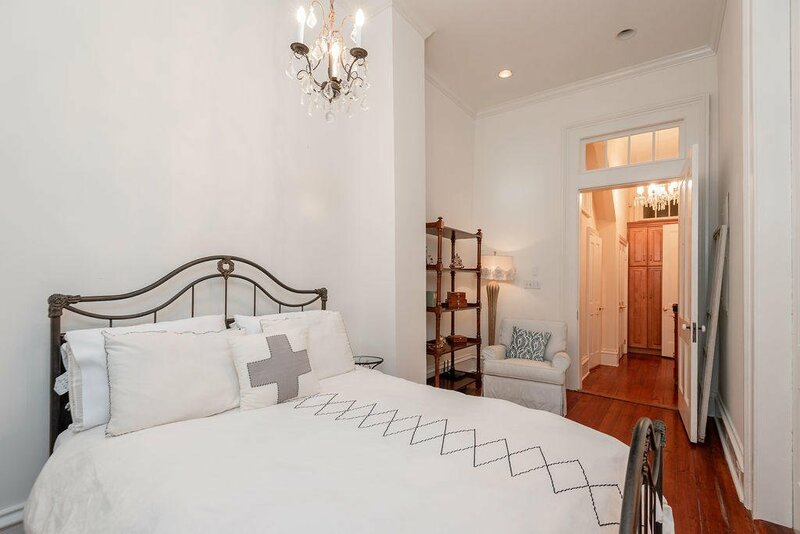 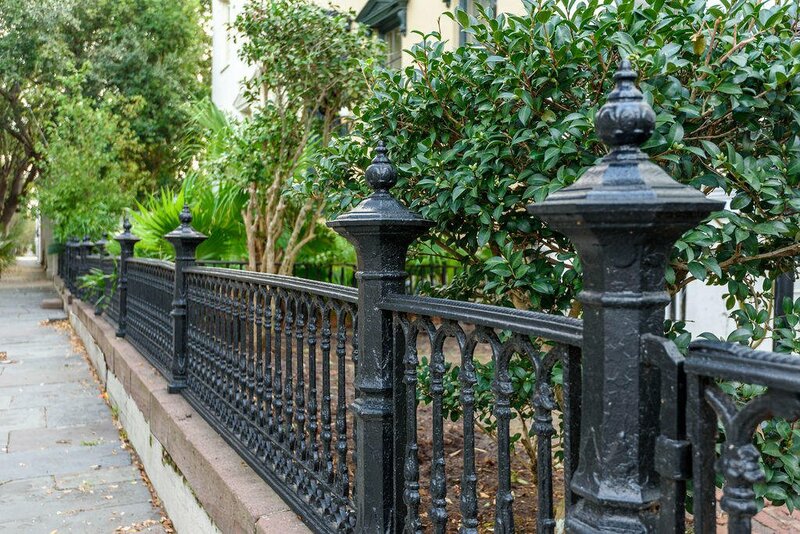 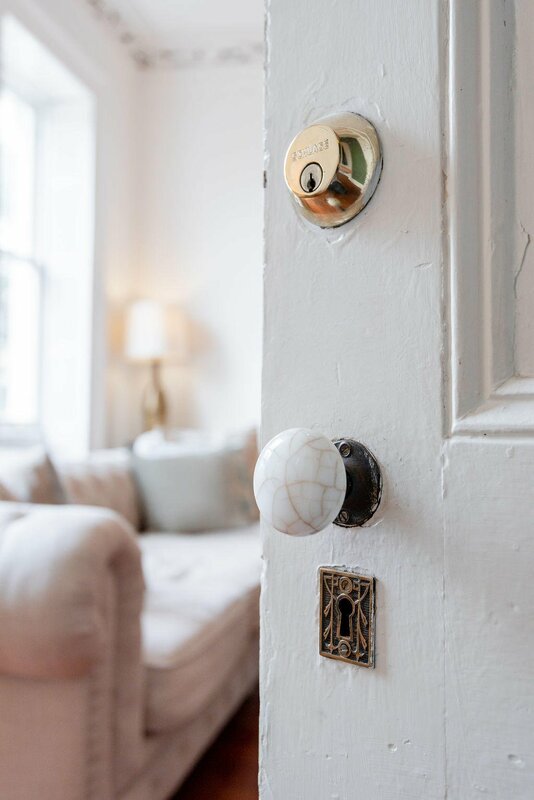 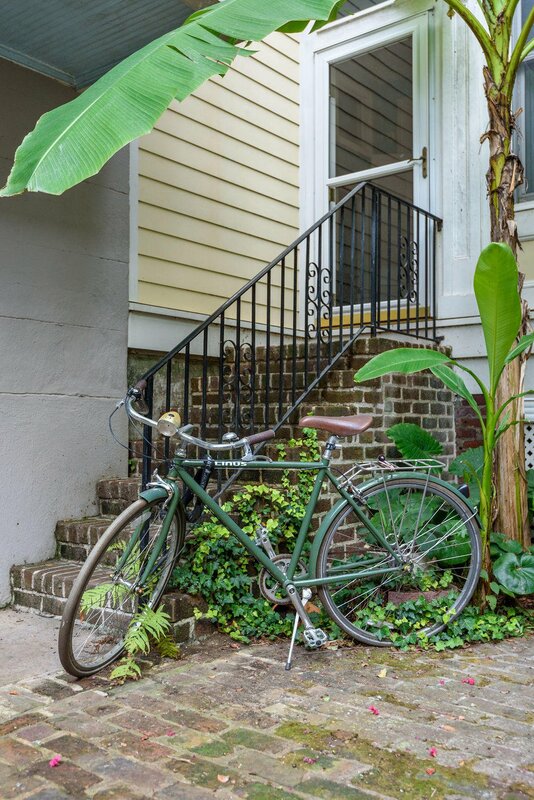 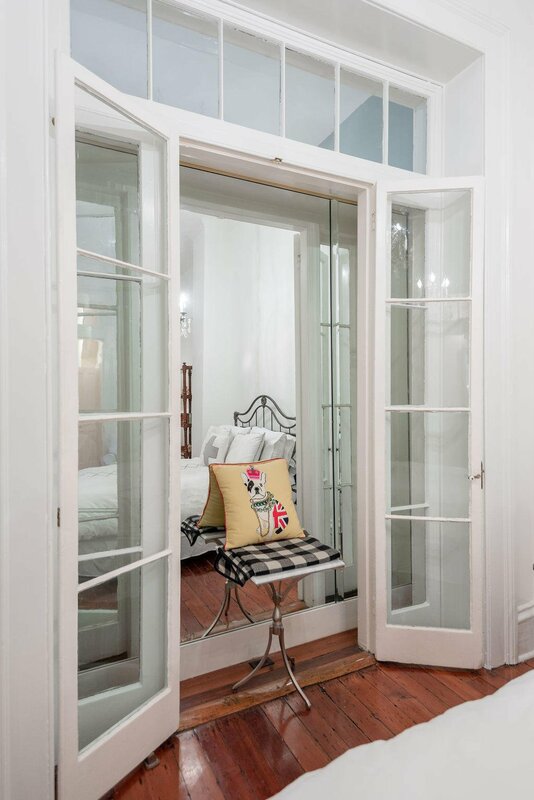 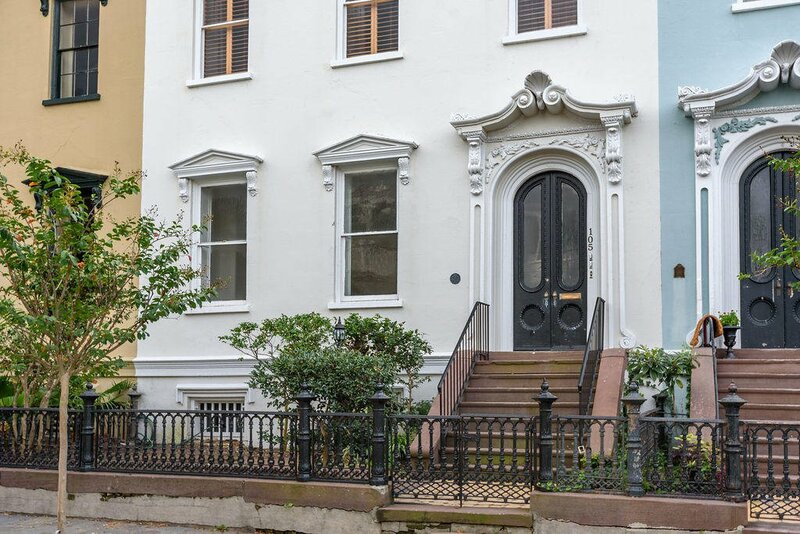 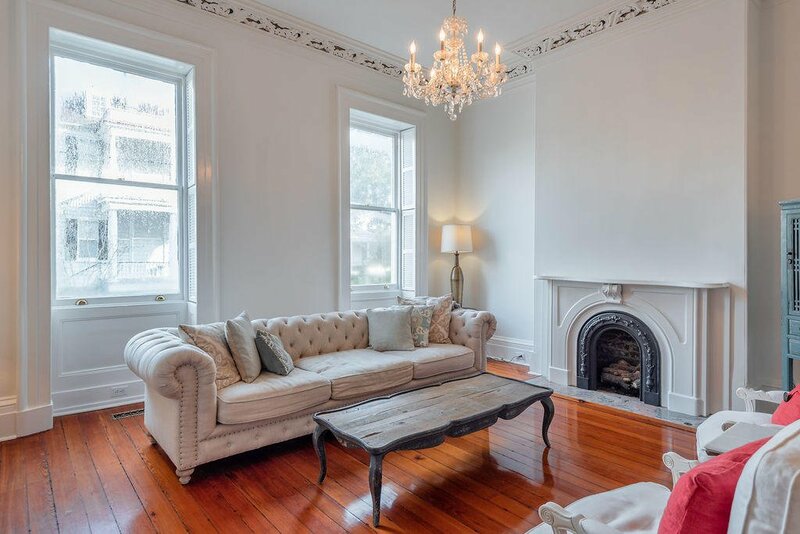 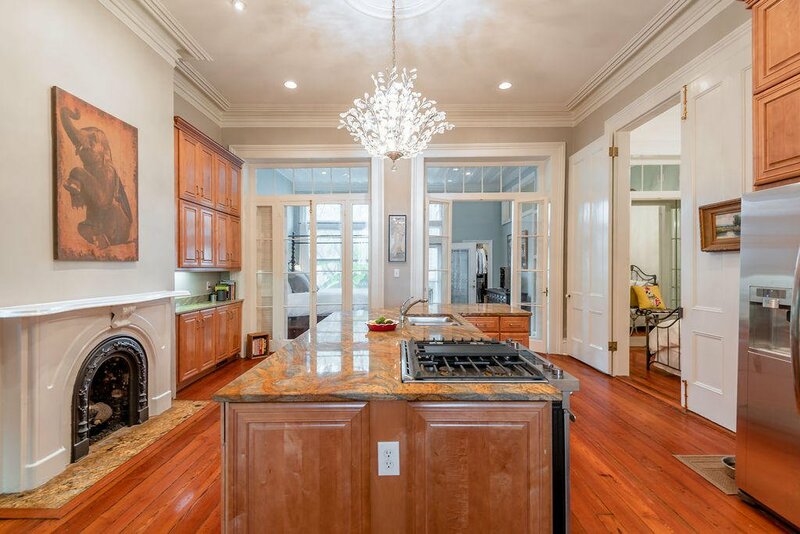 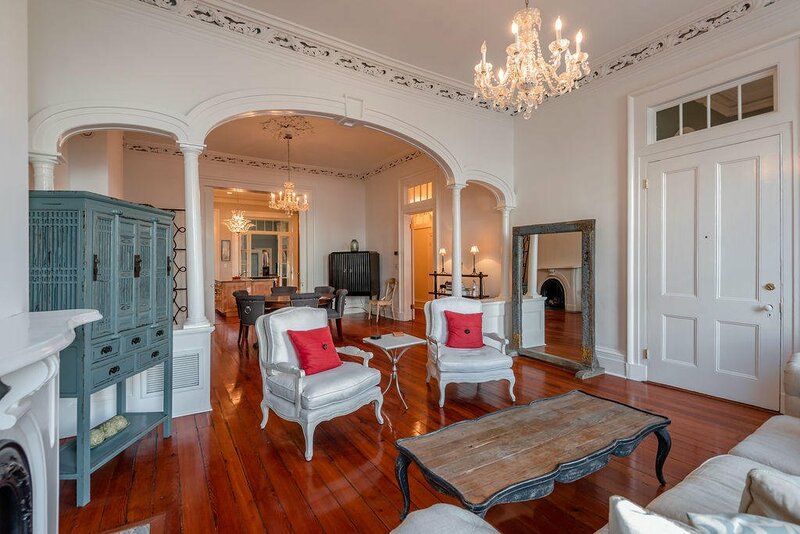 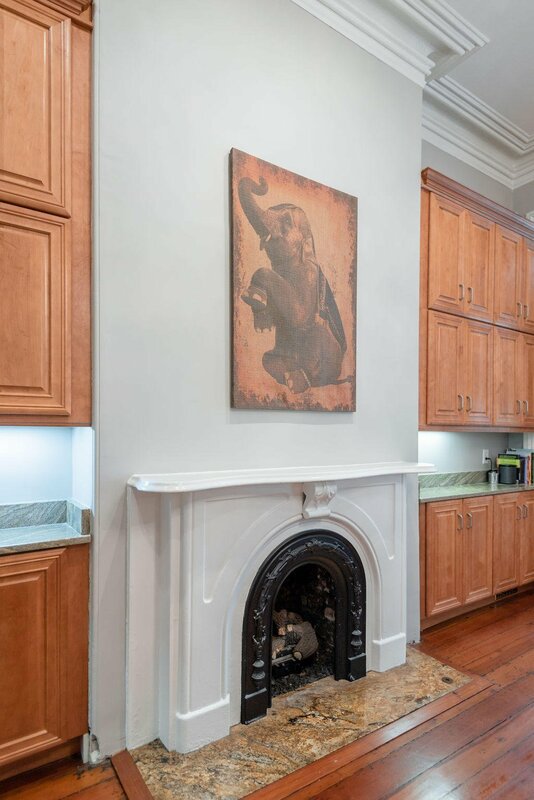 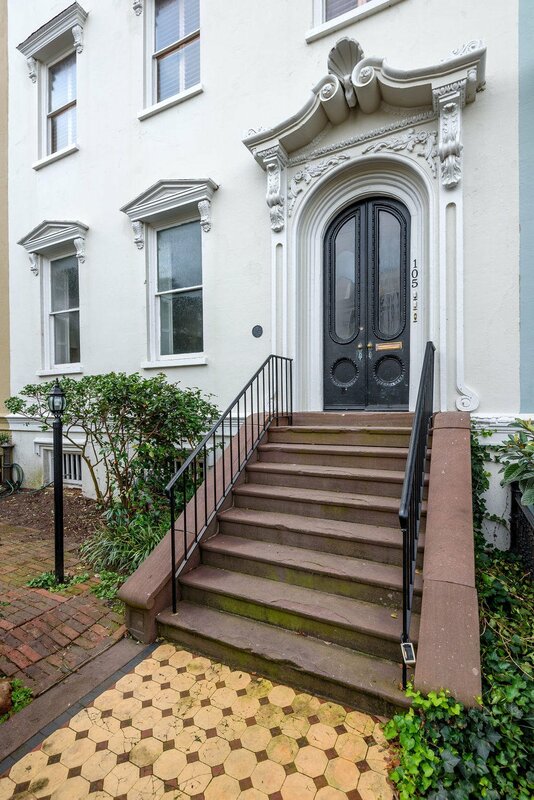 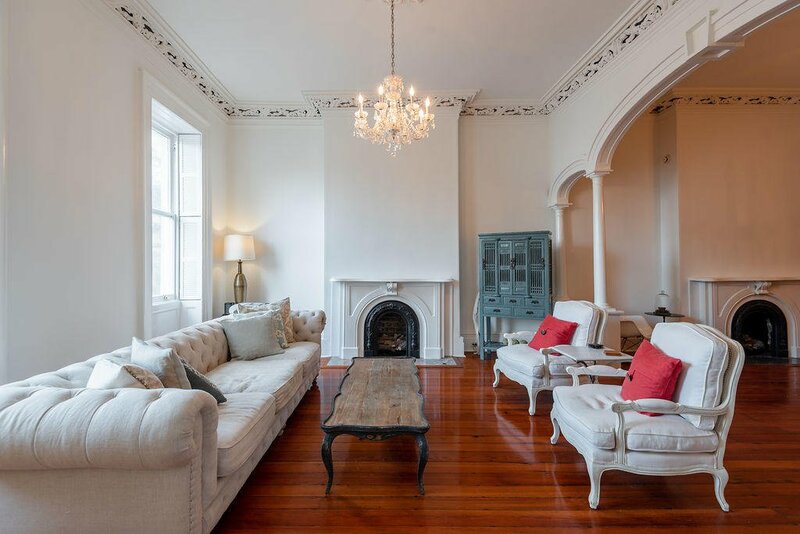 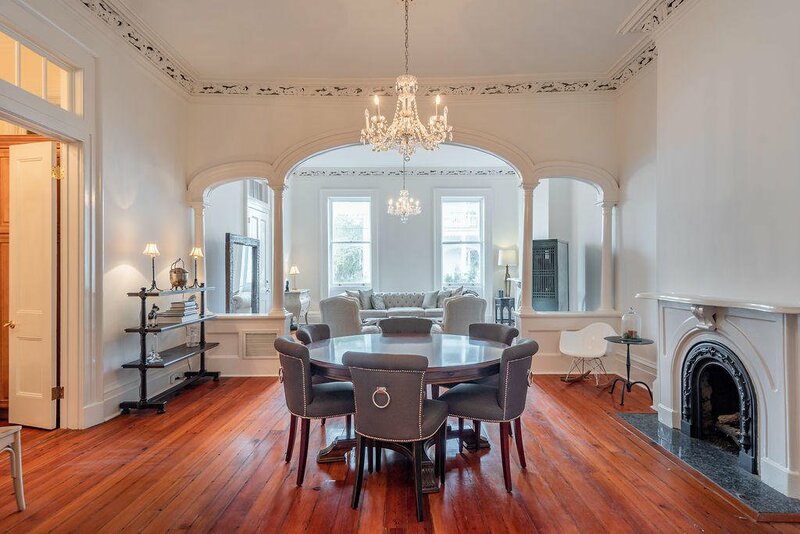 Nestled in the heart of historic downtown Charleston's Harleston Village, you will find one of the finest grand scale Italianate row houses in the country. 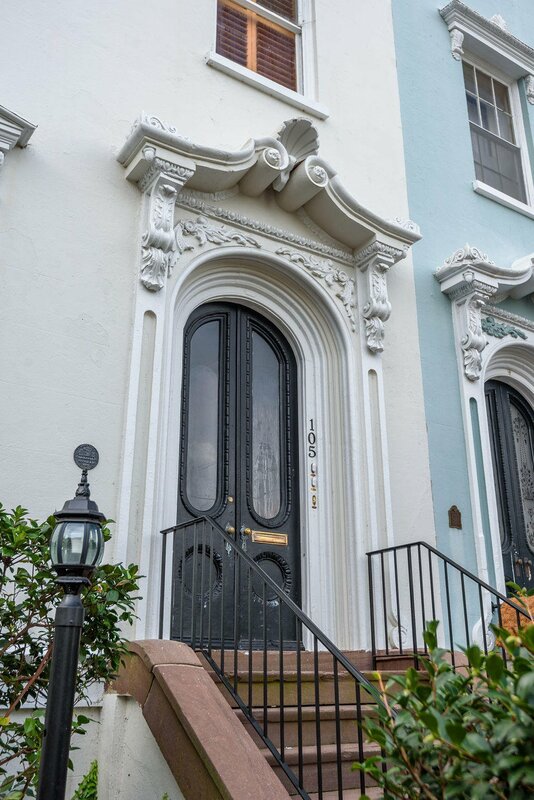 A home like this is rarely offered so be sure to take a look soon. 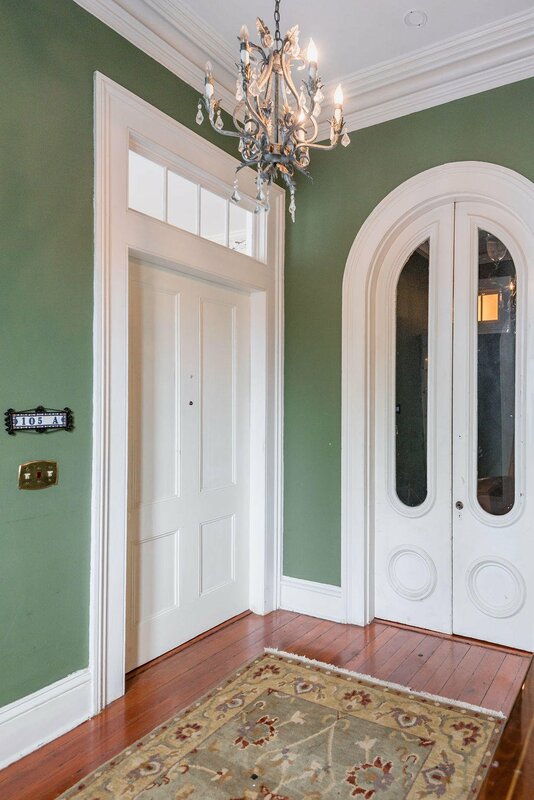 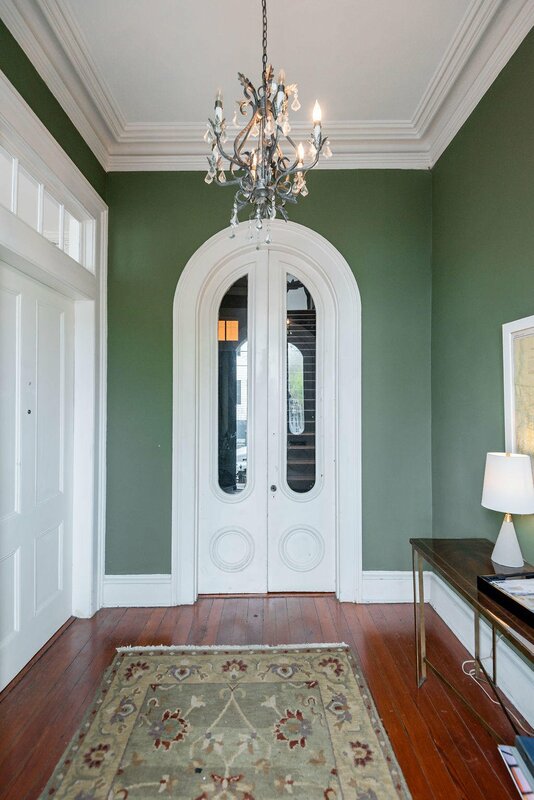 As you approach the gracious front door, you will notice the Italianate style by the terra-cotta decorations with pedimented window heads and console bracketed arch door surrounds. 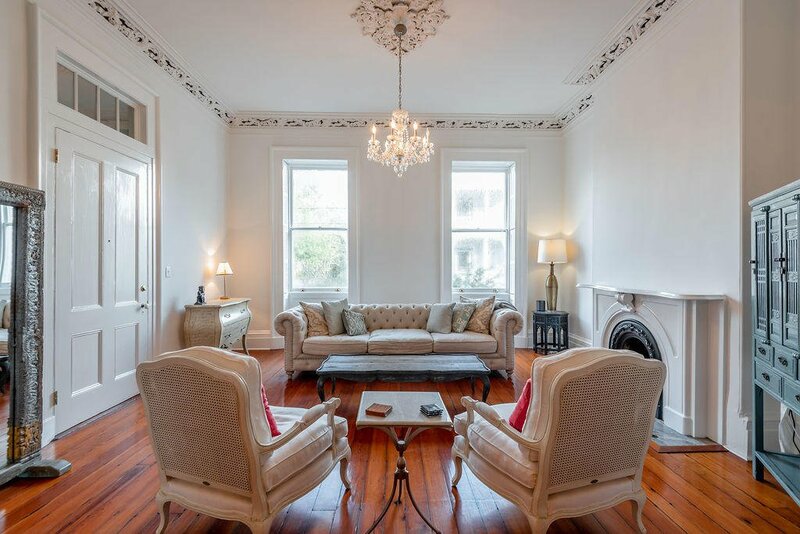 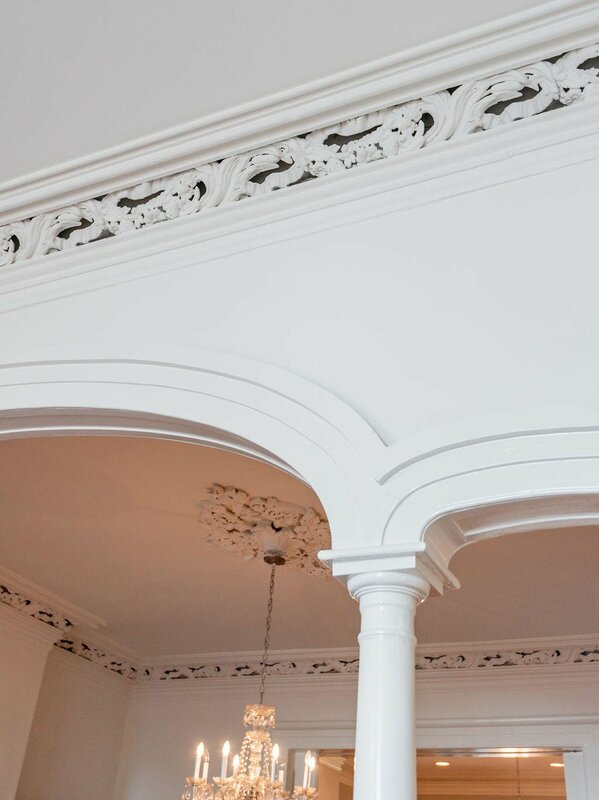 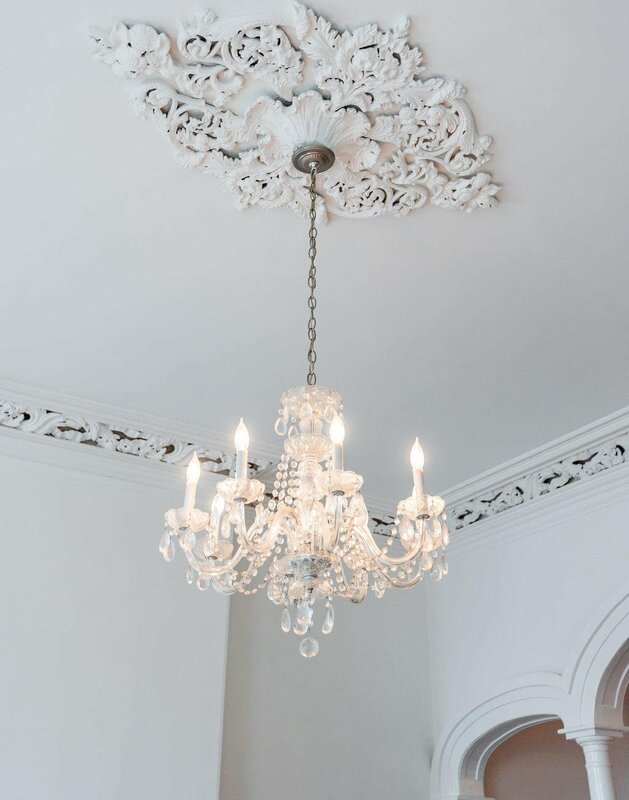 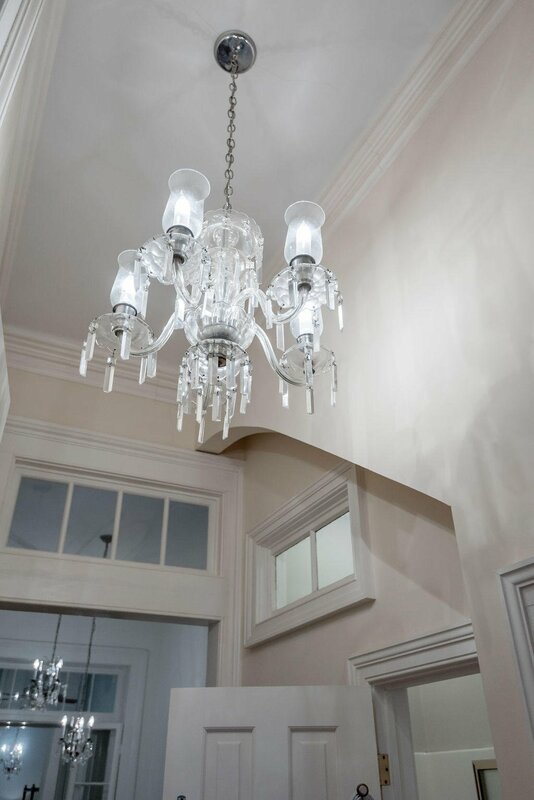 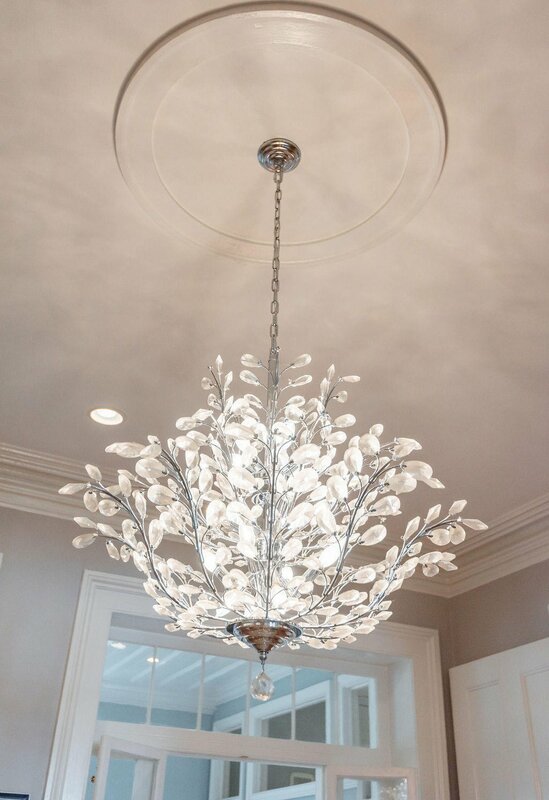 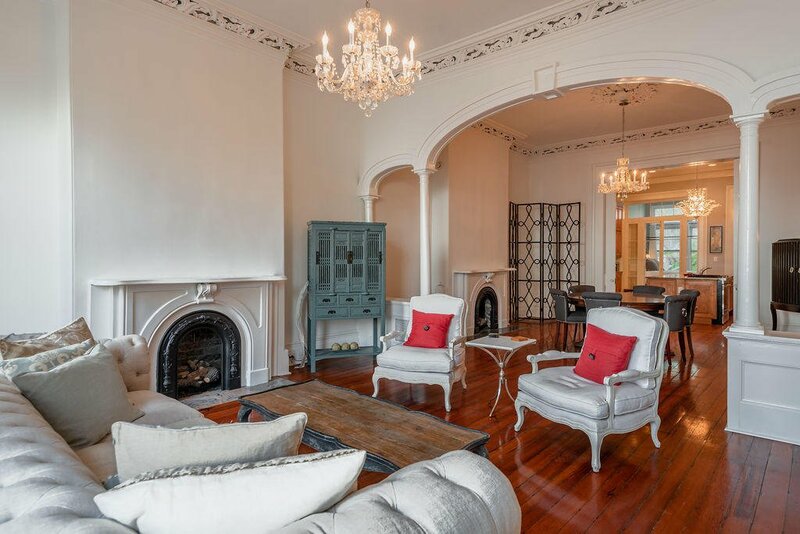 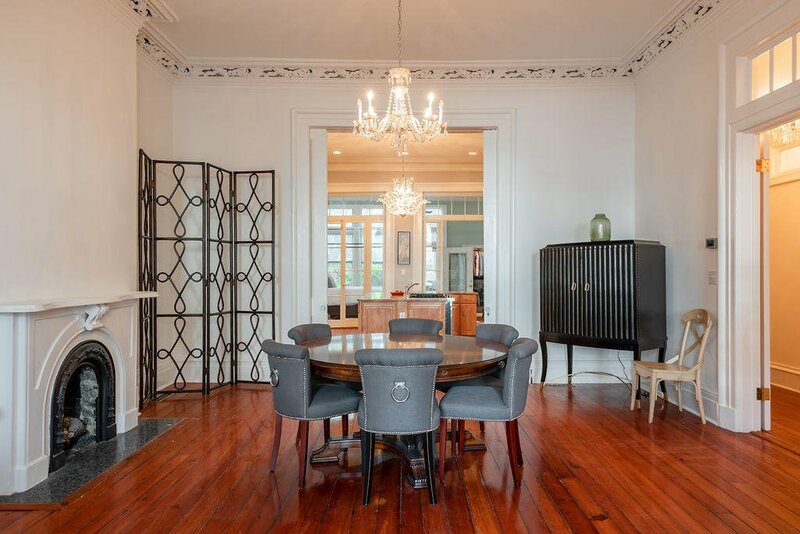 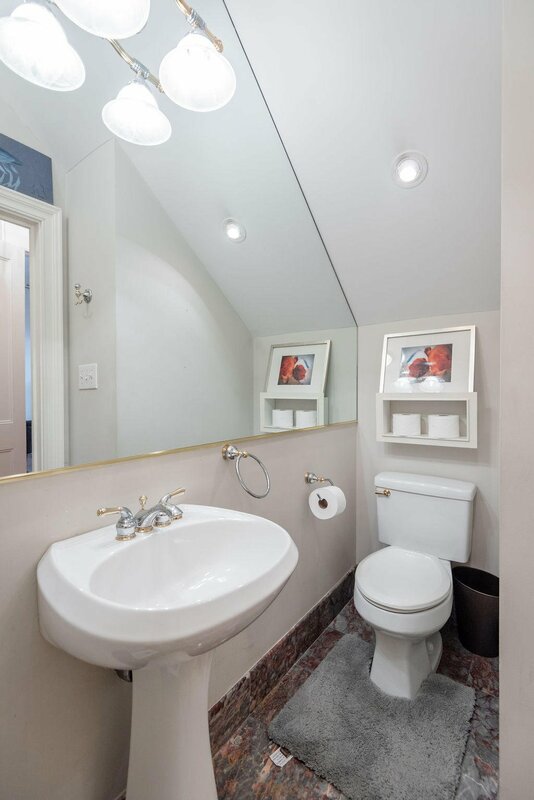 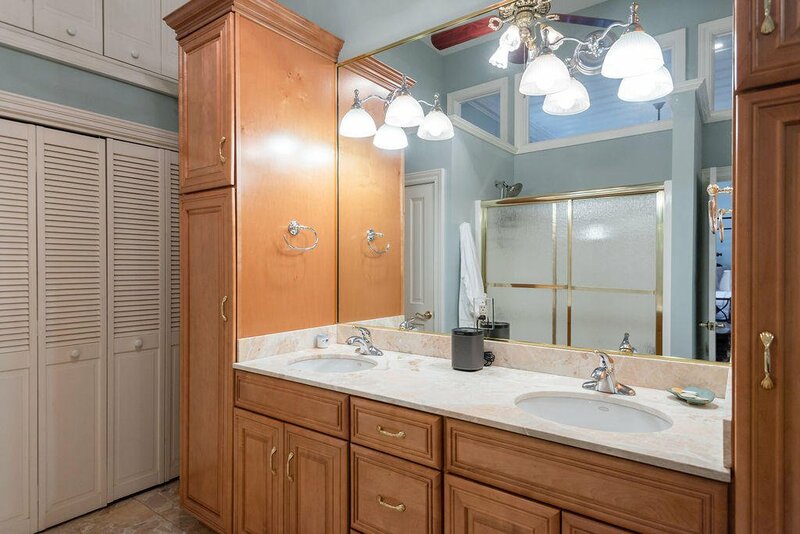 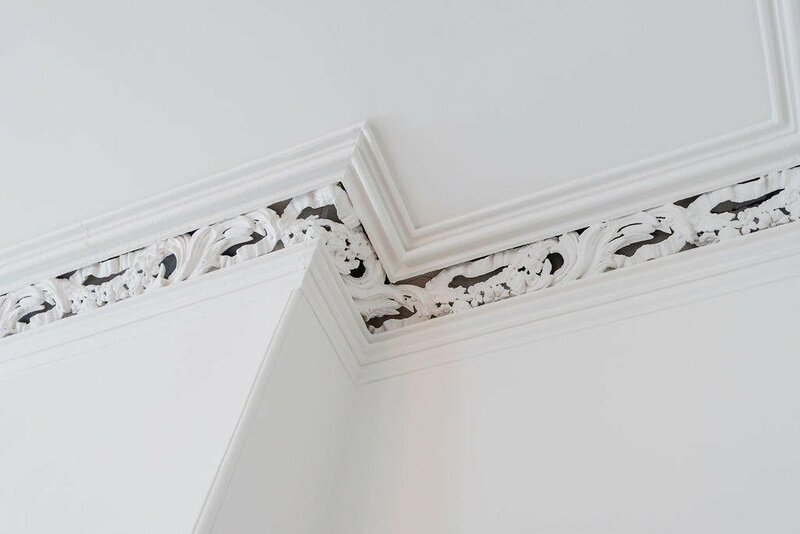 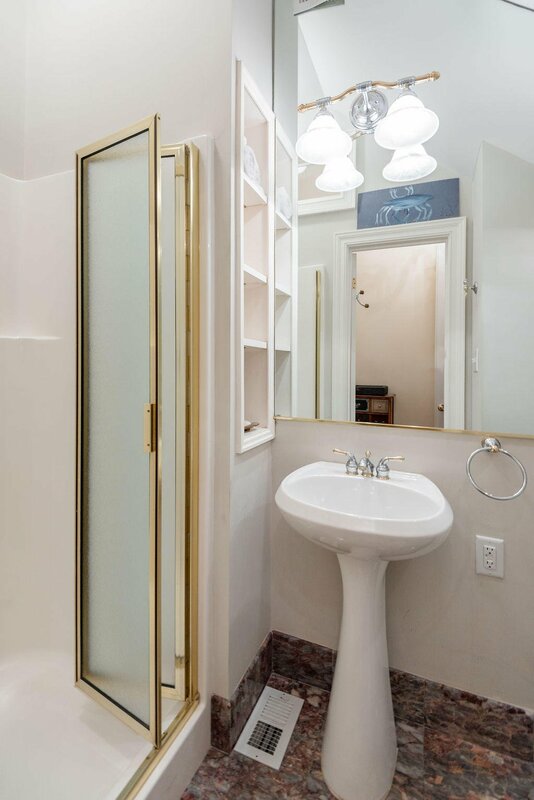 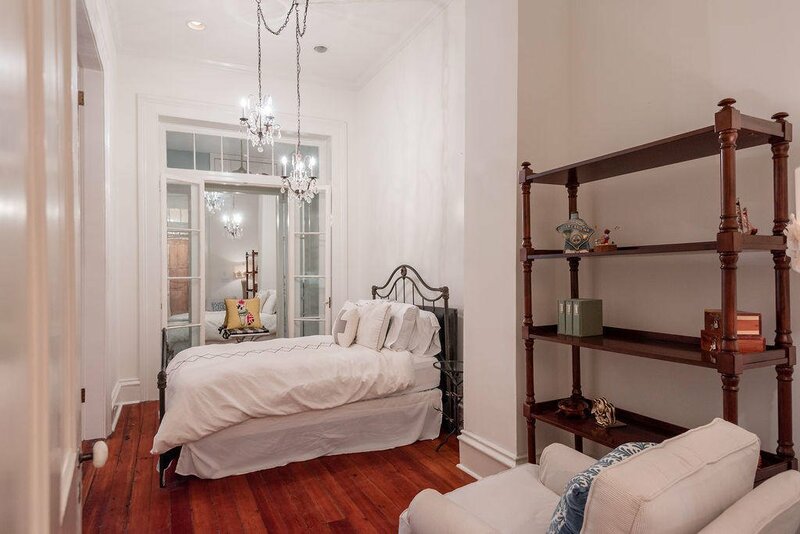 Inside you will find large rooms with dramatic 12 foot ceilings with intricate crown moldings. 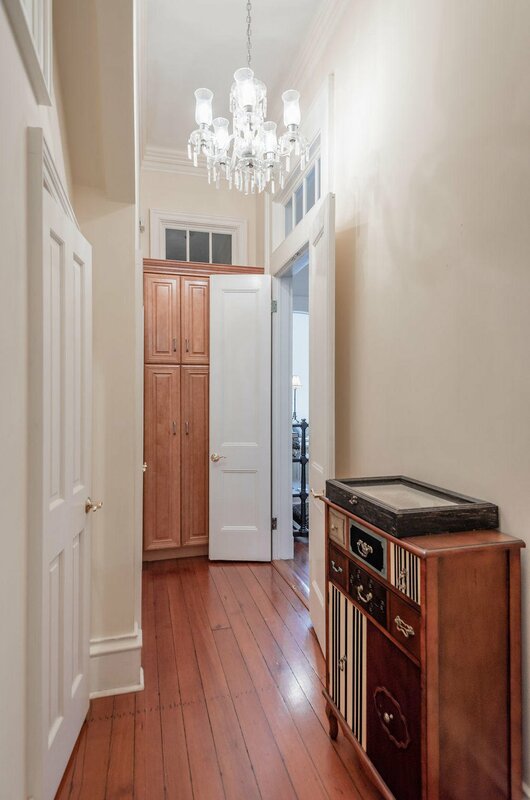 Antique wide plank heart of pine flooring runs throughout Living Room, Dining Room and Kitchen. 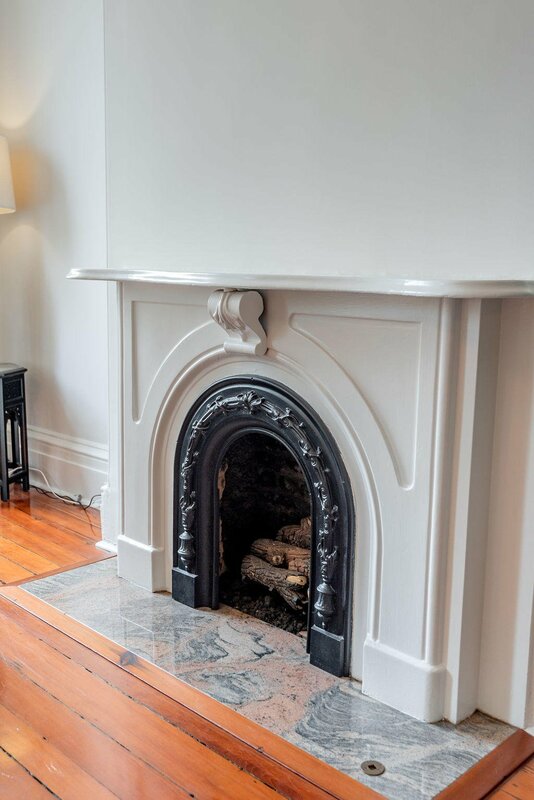 Each room has a fireplace and flow seamlessly, allowing an abundance of natural light from the front and rear windows. 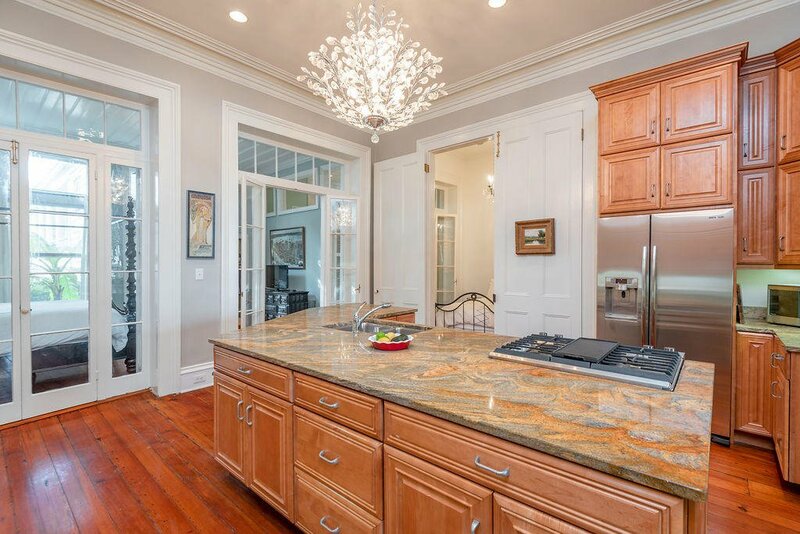 The large kitchen has a wealth of custom cabinetry, large center island with seat seating, granite counter tops and updated appliances. 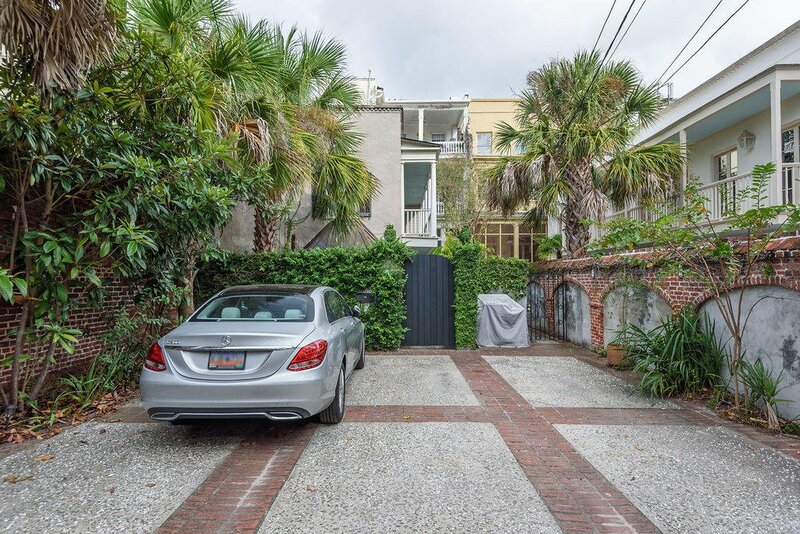 The private courtyard leading to 2 off-street parking spaces is the cream on the top. 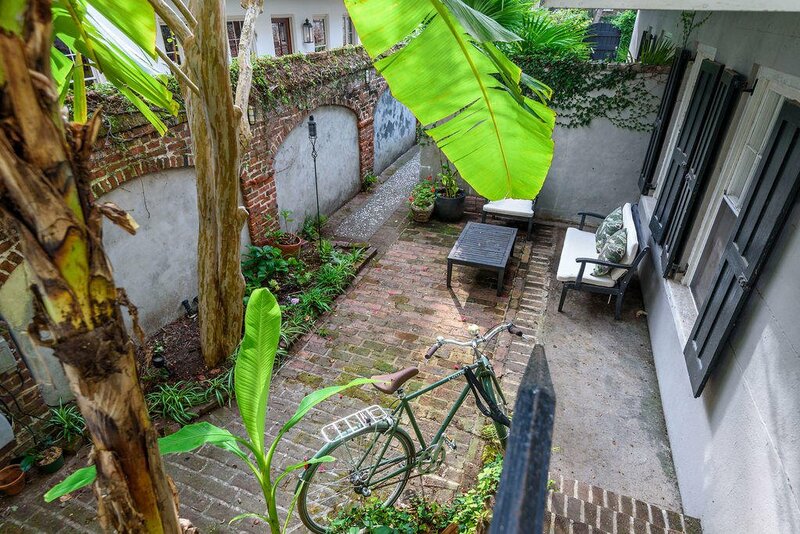 The courtyard is perfect for entertaining, grilling or relaxing at the end of the day. 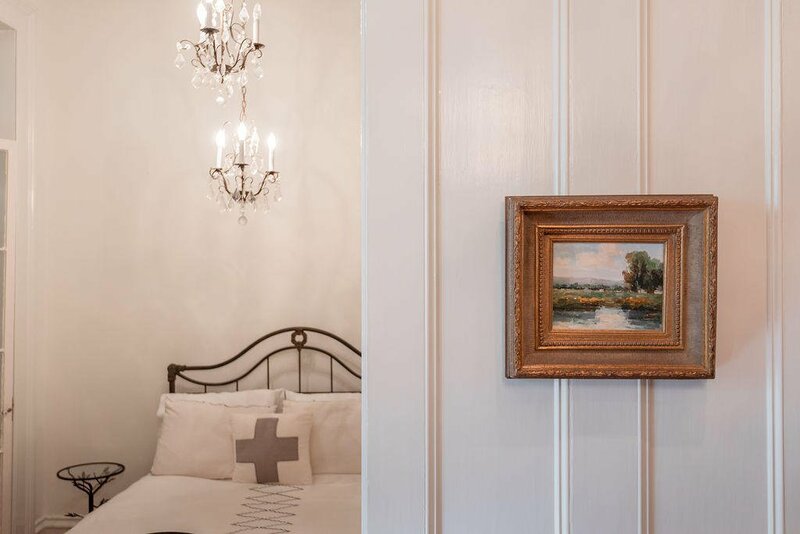 This home has been freshly painted inside and out and updated for modern day living yet retains much of its original 1830's fabric. 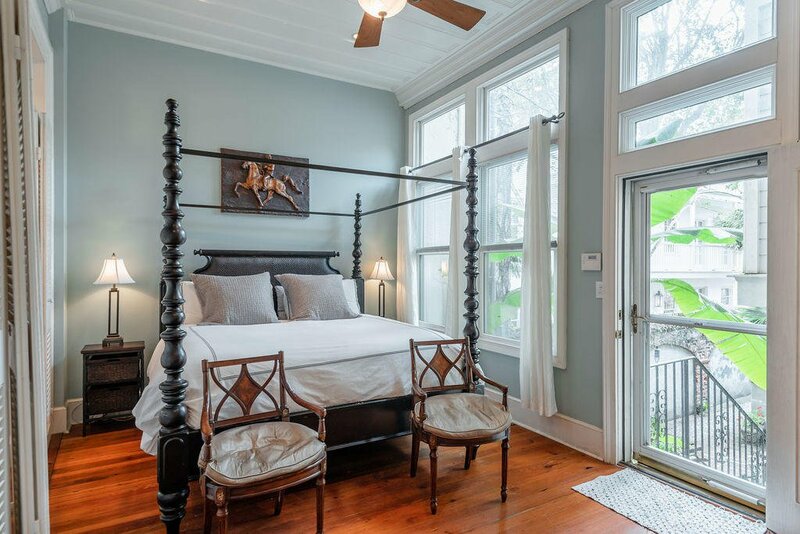 The master bedroom and rear of building was just painted and looks fantastic.